Looking for an afternoon snack? 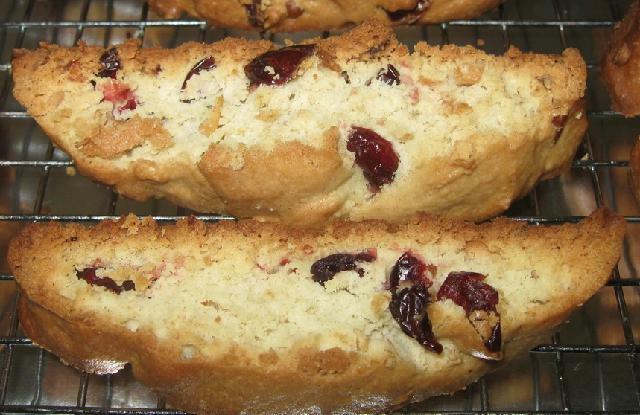 Cranberry Nut Amish Friendship Bread Biscotti make the perfect tea-time treat! In a medium bowl, cream together starter, sugar and butter. Stir in vanilla extract and egg. In another bowl, combine flour, baking powder and salt. Stir into creamed mixture. 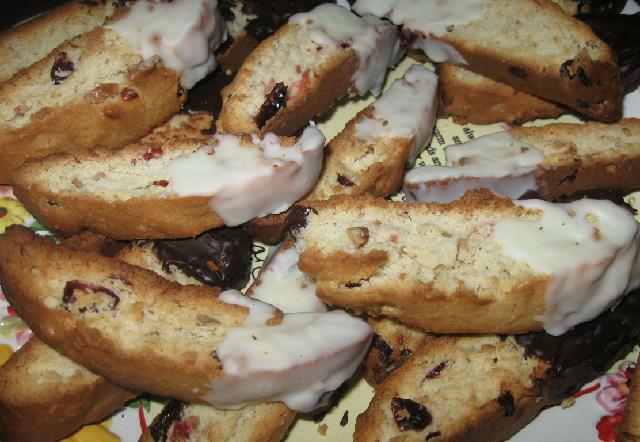 Fold in nuts and cranberries. Divide dough into 2 pieces. Roll each piece out into a log about 10 inches long. Place them on ungreased cookie sheet and flatten until they are about 3 inches wide. Bake for 30-35 minutes, until firm. Cool on baking sheet for 10-15 minutes. Slice logs crosswise into ½ inch wide slices. Place slices cut side down on baking sheet. Return to oven for an additional 15 minutes until crisp and light brown. Cool until ready to dip. These little treats are simply delicious whether served plain or dipped in your favorite chocolate. These sound like perfect gifts for the holiday season!